Caries is the most important reason for tooth extraction in the over 65s. There are more active lesions in this population than any other age-group, particularly those living in long-stay care. 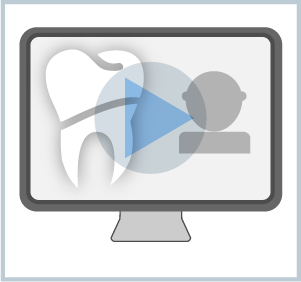 This presentation considers the reasons for this, how to assess the caries risk of older patients, and the restoration of root caries in these patients. dry mouth through disease or polypharmacy. Professor Angus Walls is the Director of the Postgraduate Dental Institute and Chair. Professor Walls graduated from Newcastle University in 1979. He undertook basic clinical training in Bristol and Stoke on Trent before returning to Newcastle for an MRC clinical training fellowship leading to his PhD. He has held a variety of posts in Newcastle before being appointed as Professor of Restorative Dentistry in 1994. He is a Consultant in Restorative Dentistry to the Newcastle Hospitals NHS Foundation Trust and to St Oswald’s Hospice in Newcastle. His research interests lie in the fields of dental materials and ageing. He has a Distinguished Scientist Award from the IADR for his work in the field of ageing and currently is Director of the Centre for Oral Health Research at Newcastle University. He is a past Vice Dean and currently a member of the Board of Faculty of FDSRCS(Eng) and he is a former chair of the SAC in Restorative Dentistry. He has also served as President of the British Society for Gerodontology, the British Society for Restorative Dentistry and the British Society for Oral and Dental Research. He is Chair and Honorary Director of the Oral and Dental Research Trust and has written extensively on the topic of ageing as it affects people and dental practices including two text books and in excess of 100 published articles.